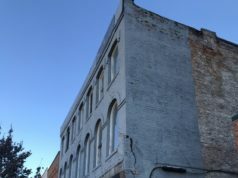 With a two-property building beginning to crumble at its corners, Broad Street could see an empty lot in the near future. 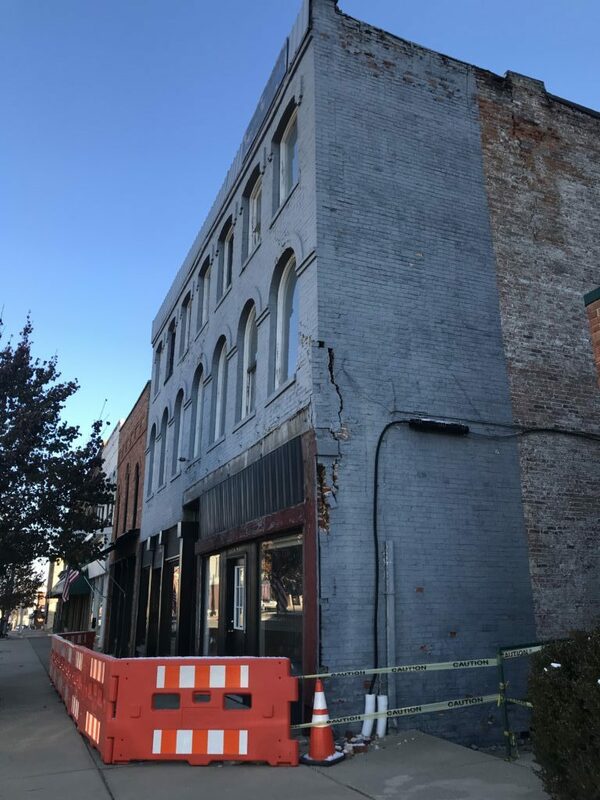 The City of Hillsdale is con­sid­ering demol­ishing the prop­erties at 23 and 25 N. Broad Street, due to the fact the building owner has failed to meet the city’s property main­te­nance code for some time. “The front facade is sep­a­rating, if you go inside, it’s even worse because there’s no roof in the center section of the building. It’s really bad,” City Manager David Mackie said at the Nov. 5 Hillsdale City Council meeting. The Tax Increment Finance Authority plans to discuss the demo­lition process of the property at its meeting next week, before pre­senting a plan to the city council. The property was posted as unsafe in December 2015, when Planning and Zoning Admin­is­trator Alan Beeker inspected the building with an architect and found sig­nif­icant damage to the foun­dation, exterior walls, floors, and interior. The property’s problems were caused by roof failure as well as lack of main­te­nance. The owner, Mortgage Man­agement LLC, was ordered by the city to submit a plan for demo­lition or repair and com­plete that plan within the next six months, according to the a write-up from City Assessor Kim­berly Thomas which was given to the council. 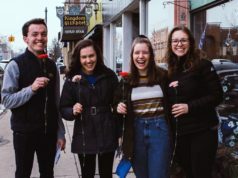 After failure to comply with these requests, Hillsdale’s Department of Public Ser­vices placed bar­ri­cades along the sidewalk outside the building in Sep­tember 2017. The building’s owner was ordered by the city to either bring it up to code through repairs or demolish the building by Jan. 23, 2018. When Mortgage Man­agement LLC failed to meet those orders, the issue went to the Hillsdale County Circuit Court on the grounds of potential fore­closure due to unpaid property taxes, according to a March 2018 Col­legian article. 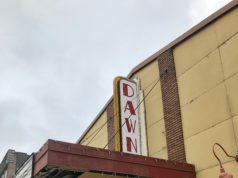 The property was fore­closed on in April after the property owners, who owed more than $50,000, failed to pay even a minimal payment of $3,566.23 to redeem the property. Stephanie Kyser, county trea­surer, had the building re-inspected in June. The con­clusion of the engineer’s assessment was a rec­om­men­dation that the building be demol­ished, the report said. The first county tax sale was held in August, with the minimum bid at $50,000, the amount owed in back taxes. When no one bid on the property, a second county tax sale was held in October, and the City of Hillsdale pur­chased the property for $75. Pur­chasing the property will allow the city to apply for blight elim­i­nation grants and other available funds. Ulti­mately, fol­lowing demo­lition, the property will either be sold for rede­vel­opment or left as a green space. “I thought given our staff and our ability to search out grants with Kelly LoPresto and my office, that we were more inclined to actually get some­thing done with that property and search out a grant to demolish it and work with, poten­tially, private interest to either rede­velop it or maintain green space,” Mackie said. Mackie said several private parties have expressed interest in the potential empty property.